This problem does not deal with any cryptography. Fans of pen-and-pencil or modern cryptography should check out problems E or H, respectively. Our invisible team, led by Mr. Invi Invisible, was recently contacted by one well-known scientist (who asked us not to reveal his name for security reasons). He received some messages from a country far-far away by e-mail, but due to the nature of e-mail and other transport mechanisms used, the original message was hidden carefully. We only know that after the real message gets discovered, it will be clear that it is the right message. Should you find yourselves in a dead end, start over and pay more attention to detail. Furthermore, we are sure that your task can be accomplished using publicly available free (as in "freedom") tools only. Note: All messages have to be submitted in ALL UPPERCASE. If you submit the correct output but not in ALL UPPERCASE, it will be considered incorrect. Find the original message. That's it. 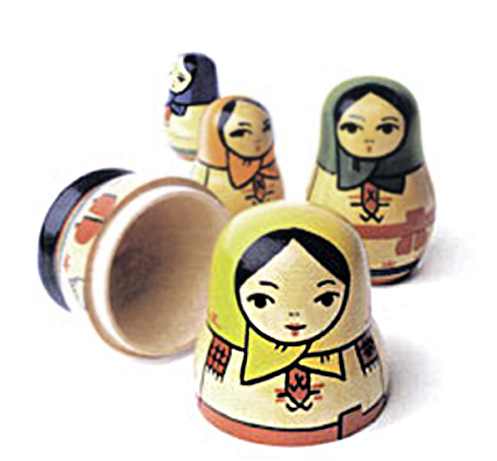 In case you wonder about the meaning of the problem name: a matrioska is a Russian doll. Or, more precisely, a set of dolls.